After six plus years together, Stephanie and Peter were married on Riley’s Farm, a marvelously rustic working apple orchard in Yucaipa, California. While Riley’s is a working farm, it is also available for weddings and special events – which worked perfectly to fulfill the couple’s longing for something unique and rustic. And if the look wasn’t perfect enough, the venue served up a hearty chicken pot pie, mac & cheese and green beans for dinner. Rustic fare for sure! Stephanie and her Matron of Honor Soozie, are both photographers and avid crafters so they had loads of fun creating this very “Rustic-Vintage-Chic” wedding. The centerpieces, the photo-booth wall, the cake, the topper and the bridesmaids attire, were all made by the bride, matron of honor, bridesmaids and family of the bride. They even baked the cherry pie favors, which I’m told were absolutely delicious. And as a sweet and sentimental touch, the bride’s veil included a piece of her baby blanket as well as a piece of her mother’s lace gown. 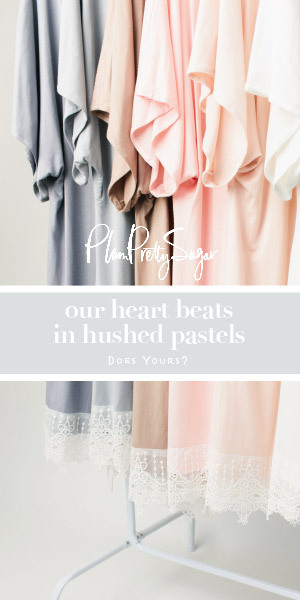 I am particularly in love with the soft cardigans and the bridesmaid’s pastel colored dresses. Aren’t they so pretty? Photographed by Weddings by Sal & Bella, Stephanie and Peter’s day was pretty much perfect in every way! If you’re interested in having an Eco-chic wedding and you haven’t checked out our “Green Weddings Archive“, there’s no time like the present. So far we’ve featured a nice collection of posts ranging from gorgeous Eco-Friendly Gowns to Eco-Chic Wedding Favors and everything in between. So dig in and have a look around. And if there’s something we haven’t covered yet, please feel free to leave us a suggestion in the comments. Green Weddings: Researching & Selecting The Best In Eco-Beautiful Makeup Eleanor Wedding Gown By Celia Grace Ethical Weddings – The Newest Wedding Trend (Part 1) What Is An Ethical Wedding Dress? Hilary and Maurice celebrated the beginning of their new married life together with an intimate ceremony at the bride’s parents home. Surrounded by their closest friends and family, Hilary and Maurice made their “backyard wedding” even more romantic with special, handcrafted signs they scattered around the property with quotes and sayings about love and their new life together. Burlap details were everywhere including the baby’s breath bouquets, table runners, detail ties and there was even some wrapped around the three tiered cake. And twine, burlap and lace adorned bottles throughout the reception to hold lovely green and white wildflowers atop sliced tree rounds for centerpieces. But I think a few of my favorite images are of when the groom, a United States Green Beret, made his entrance along side his fellow Green Beret groomsmen with red, white and blue smoke surrounding them. Now that’s an entrance! Photographed by Just a Dream Photography, Hilary and Maurice finished their special day with a night filled with a fireworks for them and their guests!